At Brickset I found a reference to set 8886 yet to be released, which is a Power Functions Cable. 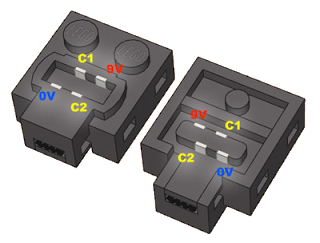 In fact from the image we can conclude it to be the long waited PF/9V conversion cable ;-), however today not yet available at S@H.
From the image on the right (source from Philo website), it can be easily seen that bottom of PF connector is different from connector bottom, at left image. So it is a 9V connector and the cable is a conversion one. Since S@H US released set 8881 for the PF Battery box, it seems now that we are at least going to have also sets 8882, 8883, 8884 and 8885 (four to the same number of PF elements still not on individual sale, not counting with the Creator PF elements). If not 8887 too and furhter... Maybe the motors and several other PF already released PF elements. Anyway, nitpickings apart, it's always nice to see LEGO still worries about maintaining compatibility with the rest of its system. For example, I bet a brick from the dawn of LEGO could still be mounted on an NXT... even though I have no idea why one would want to do it. 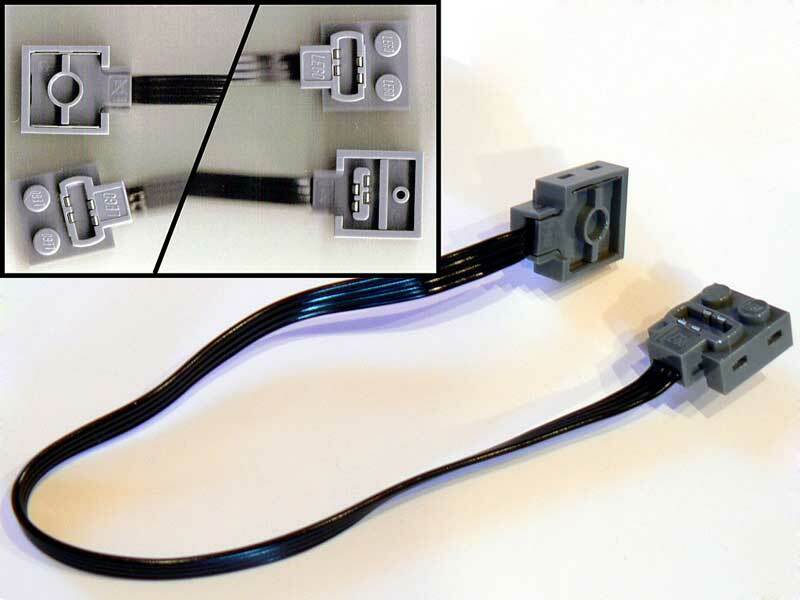 Now, all that's left (and I don't doubt LEGO is working on it) is an NXT-PF converter cable. Sure, it is possible to use an NXT-9V in tandem with this new cable, but the 6-wire link would be lost. 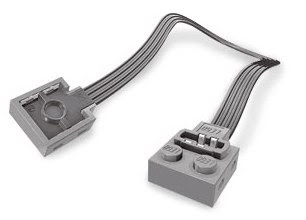 In fact LEGO NXT-9V cable, just connects two from the 6-wire cable, those which deliver power. Do you think the C1/C2 signals from PF connector, may be compatible with any of those extra NXT signals? DIGI0/1 signals from input ports used to communicate via I2C, or MA0/1 signals from output ports!? Guess the remaining signals are not compatible for sure.